2018 map as released on Nextdoor; sale is Saturday, June 2 from 8 AM to 12 noon. Are you ready? 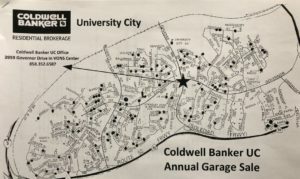 The annual University City community-wide garage sale is held on the first Saturday of June; this year it’s June 2 from 8 AM to 12 noon. Are you a seller? Signs, advertising and maps will be provided, free of charge. The deadline to be on the map is May 30. 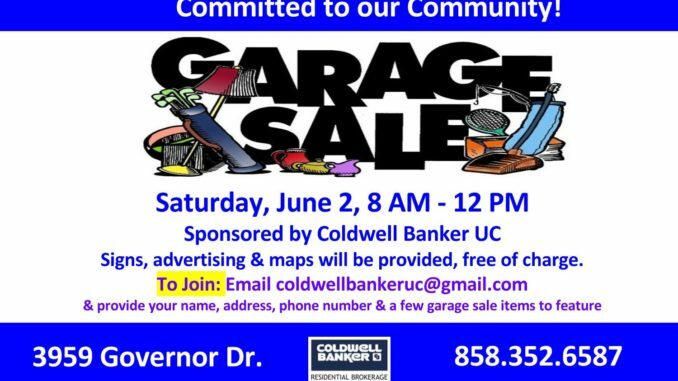 Please contact Coldwell Banker to include your home garage sale in this huge University City event. To sign up, e-mail Greice Lane at greice@lane@camoves.com with your name, address, phone and a few of the items you are selling. Are you a shopper? 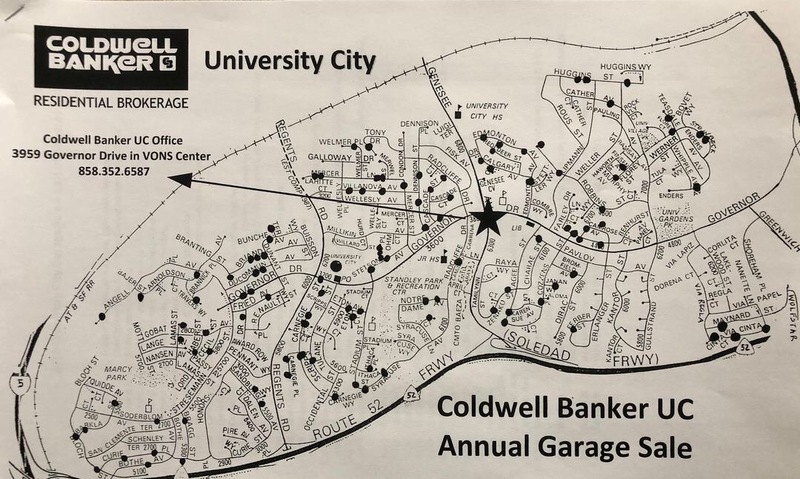 Maps and garage sale addresses will be at the Coldwell Banker office in University Square (VONS Center) at 3959 Governor Drive, starting at 7 AM on June 2.